As some of you may know, I currently live in my hometown of glamorous Coventry (a city famed for Lady Godiva and that woman who put a cat in the bin.) However, I lived in nearby Birmingham for three years while I was to uni, and still have a huge soft spot for the city. 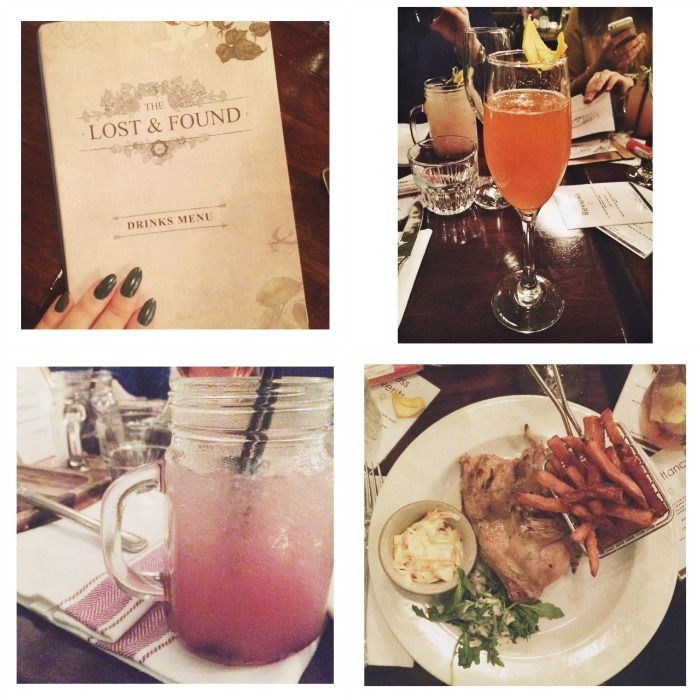 I still regularly pop over to Brum for blogger events, decent shopping, and the occasional cocktail-fueled night out. The gorgeous Megs from Wonderfully You recently put together this 24 Hour City Guide for Birmingham in collaboration with Premier Inn, detailing all of the best places to eat, shop and stay when visiting Birmingham. To celebrate the guide, I was lucky enough to be invited along with some other local bloggers to the Premier Inn’s #SleepWellShopWell event. This involved an amazing meal (and many, many cocktails) at The Lost and Found, followed by an overnight stay in the fabulously-located Premier Inn on Waterloo Street. I’ve raved about Premier Inn before when Lauren and I stayed in one for the Company Blogger Awards last year, and I still love ‘em just as much. Affordable, friendly staff and THE comfiest bed in the world – what’s not to like? In the morning, we all met again for breakfast, and then were unleashed on the city with a map from Meg’s guide and a gift voucher for The Bullring. It was SUCH a lovely event, and meeting the other girls made me really proud to be part of our little Midlands blogging community. Sometimes I forget how lucky I am to have the UK’s second city just a 20 minute train ride away, so I thought I would put together my own little mini-guide for anyone less familiar with the city. Here are some of my favourite places to shop, eat, drink and sleep in Birmingham. Birmingham is famed for the iconic Bullring shopping centre, and rightly so. The Bullring has just about everything you could need from a shopping trip, and a lot of my student loan ended up in that place (who needed food, anyway?). 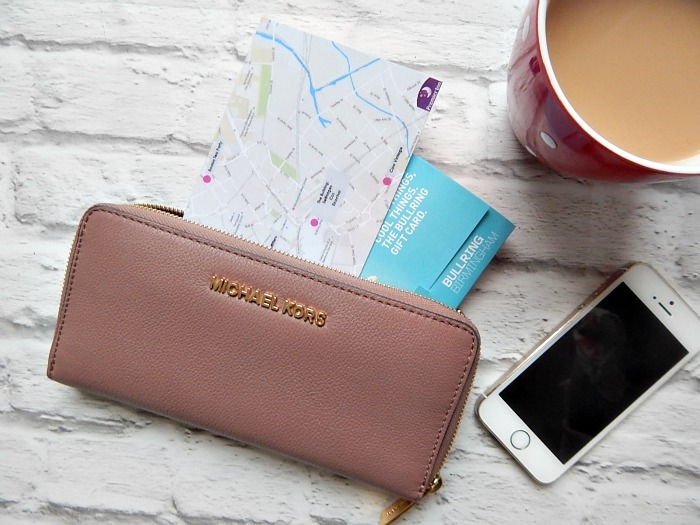 In the Bullring, you’ll find all of the high street favourites, including New Look, H&M, Topshop and River Island – which features the gorgeous River Island Style Studio – with Forever 21 and Victoria’s Secret also well worth a visit. Both ends of the Bullring are dominated by a department store: Debenhams to one end and a beautiful Selfridges to the other. 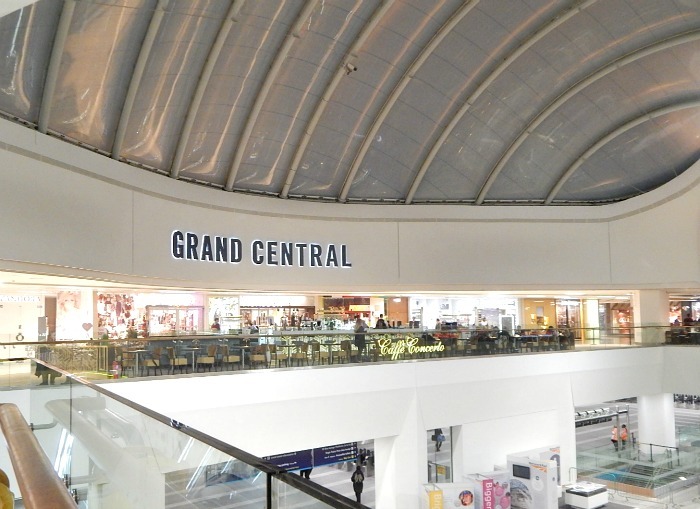 However, it’s not all about the Bullring; one of the biggest attractions to Brum at the moment is the new Grand Central. This stunning shopping centre and contains so many gorgeous stores including a Kiehl’s, Neal’s Yard Remedies, The White Company, Tiger and Pandora – and is soon to have its own MAC, which basically excites me beyond words as the stand in Selfridges is always rammo. Birmingham has so many amazing places for food, and I definitely haven’t tried even 10% of them. You’ll find all of the chains you’ll expect in and around the Bullring and Grand Central, which is ideal for grabbing a bite to eat after a busy day of shopping. However, if you’re looking for a nice meal then I would recommend heading to Broad Street and Brindley Place. The recently-opened Rub Smokehouse is an uh-mazing American, ‘food challenge’ style place, where the dishes include a burger inside a calzone, and a burrito about the size of a human (approx). 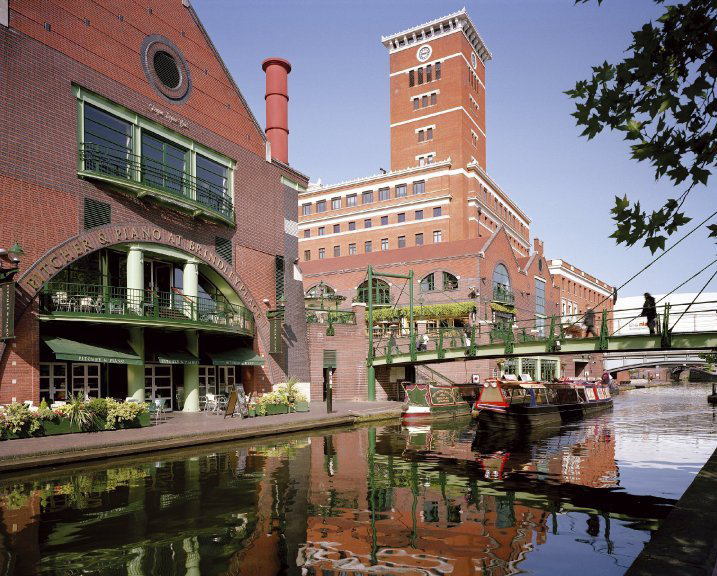 Brindley Place has a group of restaurants and bars overlooking the canal, and so makes for a really nice lazy afternoon meal. This is also one of the hotspots after dark for drinking, and is perfect for people in the mid-twenties and up who are looking for nice cocktails but somewhere you can still have a dance. If you’re younger, or just really fancy a rowdy night out (ie. me, always) then Broad Street will very likely keep you entertained too. It has the Wetherspoons, Walkabout and Revs that you would expect from a big city, as well as the ‘superclub’ (is that still a thing?) Gatecrasher. On the slighly more upmarket end of the scale, you have bars such as Nuvo, Bambu and Mechu. I’ve stayed in a couple of budget-friendly hotels in Birmingham, but for me, Premier Inn really does have the edge. For starters, there are six Premier Inn hotels in Birmingham city centre (and even more if you stay a bit further out), so whatever your plans are in the city, your comfy bed will never be too far at the end of the night. Secondly, you know you’re getting the same reasonable pricing, well-looked after room and – I know I said it earlier, but I’ll say it again dammit – COMFY, COMFY BED. I had an amazing time at the #SleepWellShopWell event, so a big thank you to the lovely girls from Propellernet for organising, Front Row Society for our lovely meal, and of course Premier Inn for having us for the evening. I hope you’ve all liked my little Birmingham guide! never been, but definitely should! Grand Central sounds like heaven! I decided to stay in Birmingham after graduating uni and am still loving it. 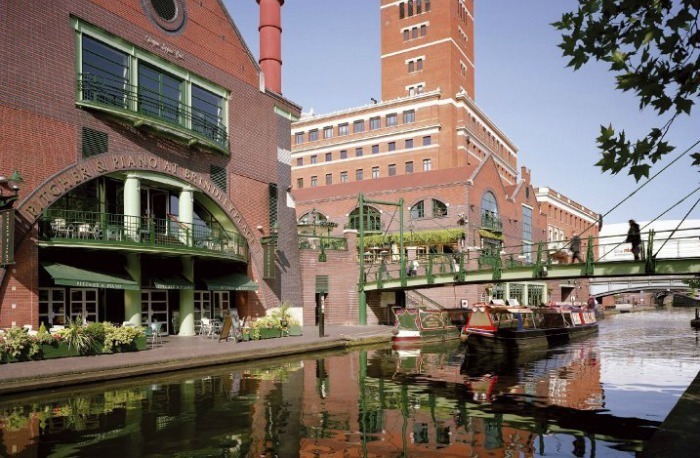 Brindley Place is one of my favourite spots in Birmingham – especially in the summer along the canal. I also had no idea that they were bringing a Mac shop to the station! I can already feel my pennies slipping away! Birmingham is about 2 hours from me so I’ve not been but I’ve heard lots about their amazing shopping centre so I’d love to take trip there sometime soon! The nightlife sounds fun too! It all looks so amazing! I need to go shopping here one day!